EI Indio, a Mexican restaurant was started in the year 1940. It was opened by Ralph Pesqueira Sr. It deals in a variety of Mexican food offering taco, burritos, Quesadillas, nachos and a number of other Mexican food items. They offer the service of catering for the customers. The restaurant deals in packed food items such as the tortilla chips, flour chips, Mexican hot chocolates etc. Mexican desert are served at the restaurant. Different types of merchandise are sold at outlets like mugs for soda, t- shirts. Tortilla warmers are also sold. Orders for party packs are placed here which has a complete menu. There are currently 0 consumer reviews about El Indio available. Share your review. Please take a note that you are about to post a public review about El Indio corporate office on CorporateOffice.com. This review will be public, so please do not post any of your personal information on this website. 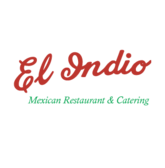 If you would like to contact the corporate offices of El Indio, please use their contact information such as their phone number, website, and address listed above to contact them. However, sometimes staff from El Indio headquarters do read the reviews on this website.